Our Diamante business cards provide a new beautiful way to enhance your design! These new cards use cold foil to create the beautiful metallic finish of foil while maintaining the versatility of gradient capabilities. This 13PT thick stock is perfect for clients looking for the gleam of a foil stamp but who have a tight budget or timeline. Cold foil can be applied over any offset printing and embossing. Use our unique diamante cold foil finish to add either a full bleed lustrous colour to your card, or to add a gleam to your printed logo. The result is a smooth laminated texture that is certain to impress. 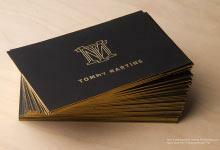 Black business cards help your company stand apart from the rest. Printing on a luxuriously thick PVC stock only amplifies this effect. This is why our Ultra Thick Black PVC business cards are such an exciting option. At 20PT thick, these business cards provide a sturdy impression that extends to tell perspective clients just how reliable your business is. The black PVC material creates a stark, astonishing look that will capture attention and will leave a lasting impression. The frosted matte finish elevates this stock in such a way that it provides a subtle elegance instead of a boisterous luster. A variety of high-end finishings are available on this stock to enhance your design. Consider incorporating foil stamping, metallic ink, spot UV or UV printing into your design. Order your credit card sized Ultra Thick Black PVC business cards today! In any industry, it is important to demonstrate that your business is not only relevant, but is on the cutting edge of the industry. You must showcase that your business is not only unique, but that it is professional and reliable. What better way to demonstrate these qualities to potential clients than by using our elite Ultra Thick PVC plastic cardstock? At 20PT thick, this sturdy stock unabashedly portrays confidence. Our Ultra Thick PVC stock is available in two unique finishings: Translucent Gloss, and Frosted Matte. The translucent gloss finish provides a semi-cloudy sheen to the surface of the business cards. This glaze like finish is near-translucent and can provide a shine to your design. The Frosted matte finish provides a unique semi-opaque look that emulates the look of frosted glass. To make your design unique, we offer a variety of finishings on this stock! Foil stamp is available in a variety of colors as is metallic ink. Try printing full bleed metallic ink on this stock to create a light weight metal card imitation! Spot UV (spot gloss) can be used to create a glossy accent and UV printing can be added to print details and colors onto the design. White ink is also available if you would like to add an accent of white. These credit card sized business cards are ready in 12-16 business days and are the perfect statement piece to add to your stationary and branding. Order yours online today! 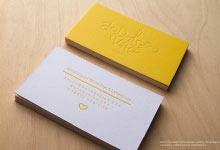 Our smooth white cardstock is certainly not standard. Crafted from 16pt or 29.5pt thick, brilliant, white cardstock this is the perfect option for clients looking for a cardstock on which they can print their simple and elegant designs. Perfect for foil stamping, offset printing, debossing, embossing and metallic ink, this versatile cardstock is certain to impress.Our smooth white cardstock is an excellent way to set your cards apart from all of the laminated competition. As with all of our white premium cards printing is not included in the price so be sure to include it when using our price calculator. DESCRIPTION Not sure what color metal you would like? No problem! This unique package allows your design to take advantage of all our colored quick metal business card options at once, while keeping the higher order quantity discount rate. Split across 2 available quantities, 100 or 150, you will receive an even number of each of the 5 colours featuring your design - that’s Black, White, Pink, Red and Blue metal cards all in one order! With 1 or 2 sides of laser engraving included and a very short production timeframe of just 3-5 business days (proofing & transit extra), these cards are a fantastic and simple choice to meet your needs. If you do not have a print-ready design available in vector format, feel free to combine this special offer with the purchase of a Design Service, or request to utilize one of our many metal quick card template designs - our team of in-house Designers are ready and waiting to help. This online exclusive offer is available for a limited time, so act fast and hit the Buy Now button! Our Stainless Steel Business Card Design + Print Package combines two of our most popular print and design services at a very special rate! With the inclusion of RockDesign’s Simple Design Service, our designers can provide their expertise to take your existing design to the next level or bring your business card vision to fruition. This includes 1 initial concept based on your mockup, references or ideas, and 3 revisions thereafter to tweak your business card design to perfection. Utilizing the Stainless Steel cardstock with Original Finish creates a heavy, sturdy and yet beautiful business card which will make an everlasting impression to whomever holds one. The package’s incorporated print features include: non-full bleed Etching, Custom Die-Cutting (including Cut-Through), and 1 Spot Color which can be utilized on both sides, enabling so many creative design options. Our Design Team’s guidance will ensure your design uses these print features in a way that maximizes their potential and provide ease of mind knowing your print file is to specification for production. And if 100 cards just isn't enough, this exclusive package deal is also available with an order quantity of 250! *Free ground shipping is applicable for clients located within the continental USA & Canada; some exclusions apply. Ground shipping costs for clients who qualify will be refunded upon review of the placed order. Expedited and International shipping charges are extra and will not be refunded. 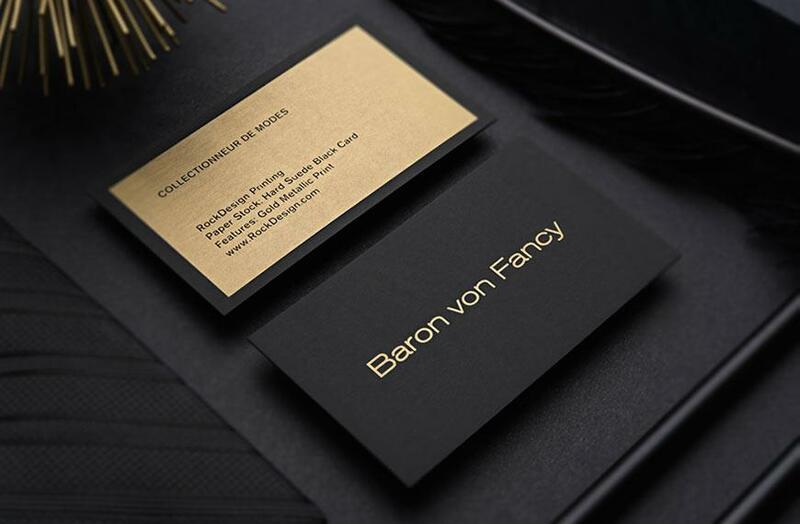 Our Black Metal Business Card Design + Print Package combines our boldest metal cardstock with our most popular design service at a very special rate! With the inclusion of RockDesign’s Simple Design Service, our designers can provide their expertise to take your existing design to the next level or bring your business card vision to fruition. This includes 1 initial concept based on your mockup, references or ideas, and 3 revisions thereafter to tweak your business card design to perfection. Utilizing the Anodized Black Stainless Steel cardstock creates a heavy, sturdy and yet beautiful business card which will make an everlasting impression to whomever holds one. The package’s incorporated print features include: non-full bleed Etching, Custom Die-Cutting (including Cut-Through), and up to 4 Spot Colors which can be utilized on both sides, enabling so many creative design options. Our Design Team’s guidance will ensure your design uses these print features in a way that maximizes their potential and provide ease of mind knowing your print file is to specification for production. And if 100 cards just isn't enough, this exclusive package deal is also available with an order quantity of 250! *Free ground shipping is applicable for clients located within the continental USA & Canada; some exclusions apply. Ground shipping costs for clients who qualify will be refunded upon review of the placed order. Expedited and International shipping charges are extra and will not be refunded. Our Carbon Fibre Business cards are a brand new addition to the RockDesign cardstock roster. Crafted from authentic carbon fibre these 0.5mm thick cards have the durability of stainless steel while maintaining the lightness of plastic. The natural carbon fibre pattern creates a beautiful light-reflecting illusion that adds dimension and beauty to the finished product. 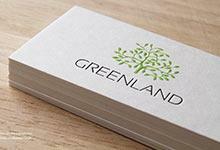 Combined with spot colour these cards are a perfect addition to your branding.